Part of Williamsburg suite of coordinating fixtures, faucets and bath accessories. Ceramic disc valves assure a lifetime of smooth handle operation and drip-free performance. Large valves fill tub quickly. Adjustable connections (6 1/2 In. - 12 In.) for standard or custom installations. Metal lever handles. Lifetime finish won't tarnish or scratch. This antique-style freestanding faucet with two-legs will add an updated Victorian feel to your bathroom. The integrated hand-held shower adds convenience while in the tub and can also be used when cleaning and maintaining your tub. This UPC approved unit is the perfect addition to your freestanding tub. Add sleek, minimalist style to your bathroom with this floor-mount bath filler. Ideal for Fountainhead(TM), Underscore(R), and sok(R) baths, the filler features a 36-inch tall spout that arches elegantly into the bathtub. 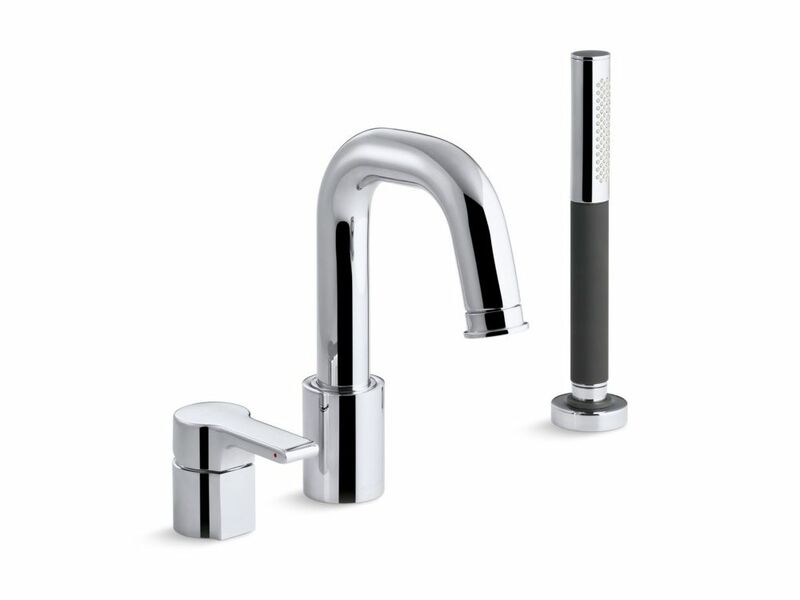 This spout has been outfitted with an aerator to ensure smooth, non-splashing water flow. Pair this trim with a high-flow ceramic disc valve for optimal performance. Singulier Deck-Mount Bath Filler With Handshower In Polished Chrome The Singulier range combines elegant, sensual lines with graceful curves that come together delicately to create a serene, understated look and tranquil sensibility. Simple. Sublime. Singulier.